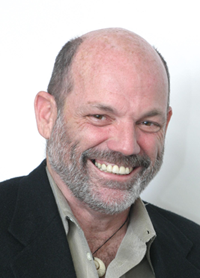 John Chase Bizzell fled the police state of Florida in 1967 with a close friend Rubin, a Drag Queen from Cuba. Rubin's parents were going to institutionalize her, and subject her to Shock Treatments for being Gay. When their plane landed in San Francisco, it was the Summer of Love. John quickly emerged himself in the more tolerant atmosphere of San Francisco's emerging Gay Community. As a popular bartender, he joined the Tavern Guild and became vocal in his support for focusing on the need to expand Gay acceptance and the ongoing fight for equal rights. But even in this Citadel of Love and Acceptance, the revolutionary momentum seemed to succumb to a more social presence. So many like him had fled oppression and seemed to be lost in taking a deep breath in the frivolity of at last being able to just be Gay. The Empress Jose took note of John's rebellious nature and encouraged him to speak out. After Stonewall in 1969, John's revolutionary spirit only intensified. The Empresses remained more interested in being social hostess at Tavern Guild functions rather than using their position to further the emerging Gay identity, much to Jose's displeasure. John became quite vocal in his belief that they and the Tavern Guild should do more. He created a concept of an Emperor that along with the Empress would be the symbolic representatives of a Council of Organization comprised of all the newly forming committees and groups focused on Gay Liberation. Using the bars and businesses of the Tavern Guild as their sponsors and palaces to disseminate information, the Emperor and Empress would provide a social aspect to the emerging revolution for acceptance. When the concept was presented to the Tavern Guild membership in 1972 by The Committee to Elect an Emperor, it was defeated by supporters wanting the Empress and the Tavern Guild to remain more social, feeling an Emperor was not needed nor wanted. There was also a strong underlying reluctance to embrace the more masculine and sexually oriented bars from South of Market that were supporting the creation of an Emperor. The Committee decided it would proceed on its own, separate from the Tavern Guild. John met with Jose and asked him to crown the new Emperor at the final election night scheduled for September in commemoration of when Emperor Norton declared himself Emperor in 1859. Jose accepted and became a member of The Committee. On that night Gil Hernandez, know to the Gay community as Marcus Manulis Capitolinus, or Mr Marcus, was elected the first Emperor After Norton. Even though the two groups co-mingled in certain aspects, The Emperors and Empresses existed separately until 1983. 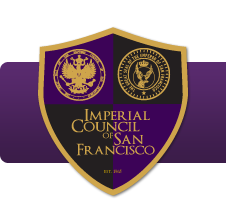 Jose continued his nurturing work with both groups, serving on the Boards of all Emperors, as part of The Imperial Court system, and then assisting with the merger of the two titles in 1983, finally realizing his dream of a unified Imperial Court of San Francisco.